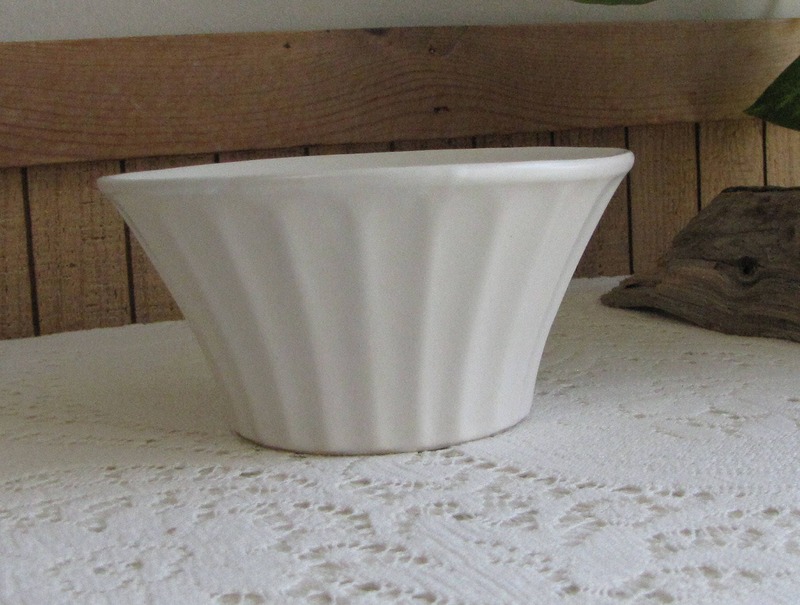 This a white McCoy Pottery planter or flower pot that is in very good vintage condition with no chips, cracks, or crazing. 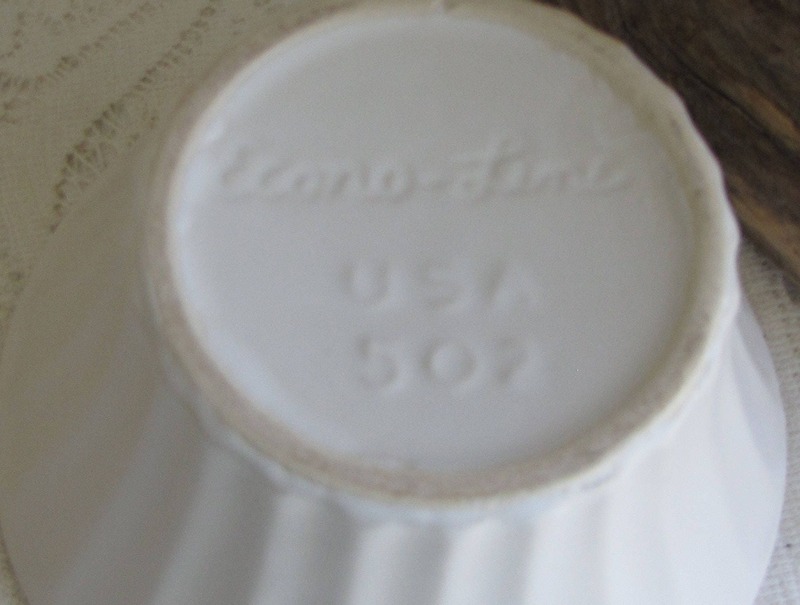 It is a piece from McCoy’s Econo-Line series marked USA #502. 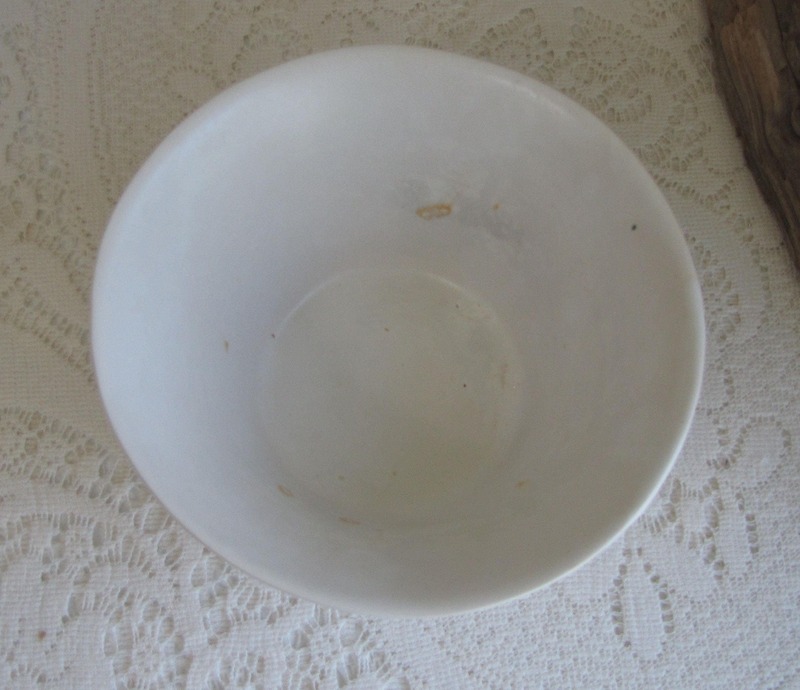 The inside has a rust mark or two and some flea bites in the base of the pottery. 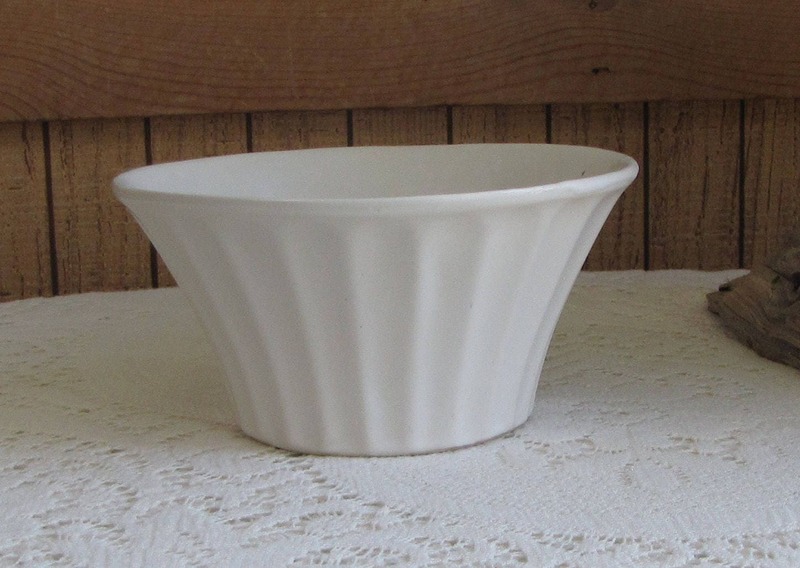 The vintage planter measures 3.25 inches tall and 6.25 inches in diameter across its top opening. The sides are a ribbed design. In April 1910, Nelson McCoy and his father J.W. 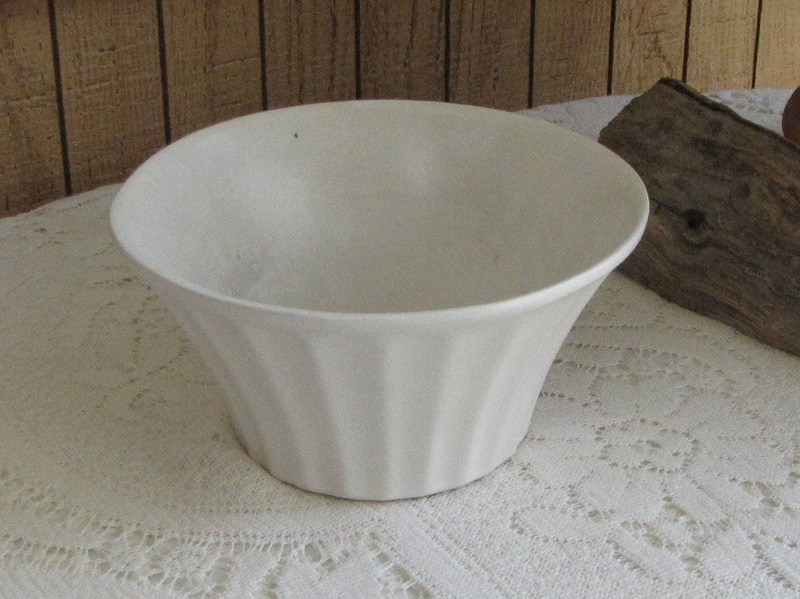 McCoy Founded the Nelson McCoy Sanitary and Stoneware Company in Roseville, Ohio. 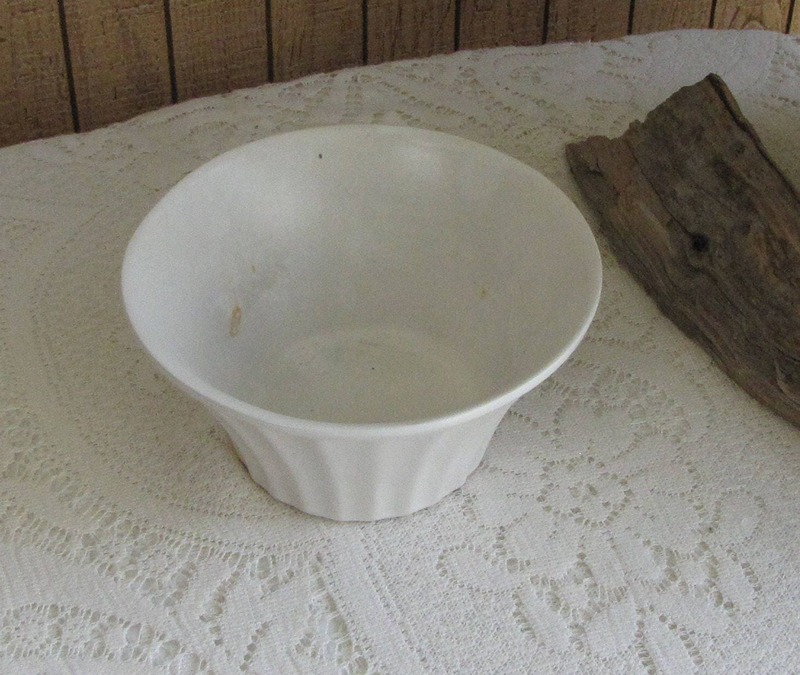 The pottery produced household stoneware and operated until 1918. They also bought, sold, and mined clay. 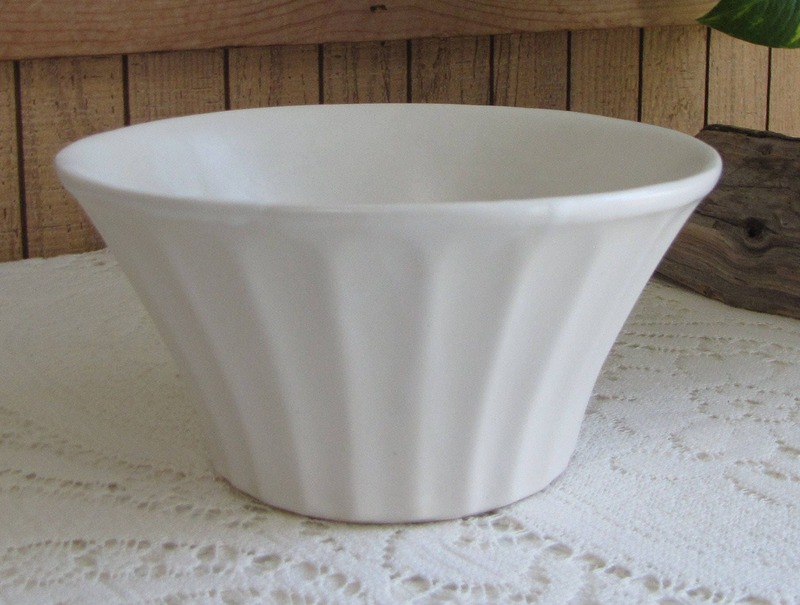 At that time, the pottery joined with eleven other stoneware potteries and formed the American Clay Products Company (ACPC), which was located in Zanesville, Ohio. All of the member potteries produced stoneware to be marketed by the new company. 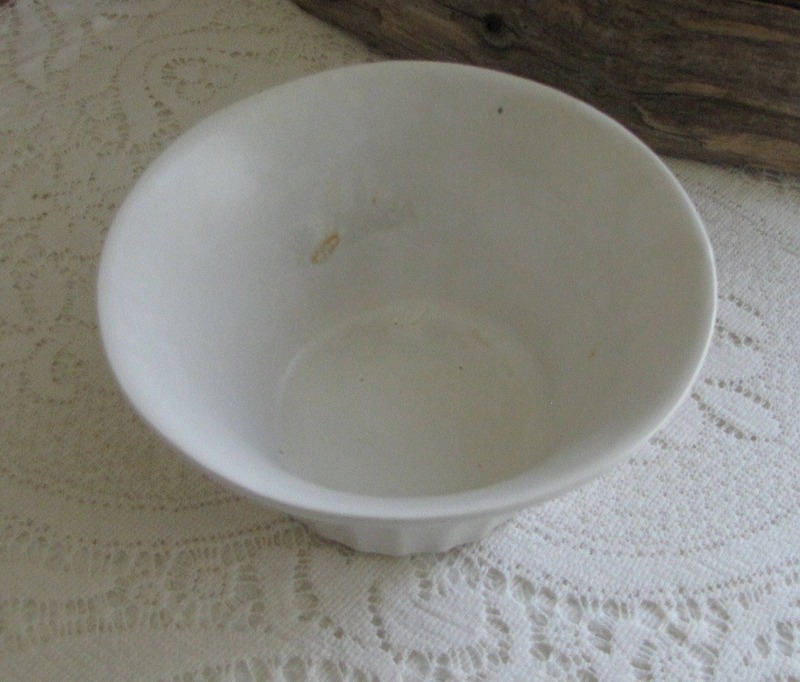 In 1933, the name of the pottery was changed to the Nelson McCoy Pottery Co. The family operated pottery for 57 years until it was sold in 1967 to Mt. Clemens Pottery Co. Nelson McCoy, Jr., remained president of the pottery until 1981. 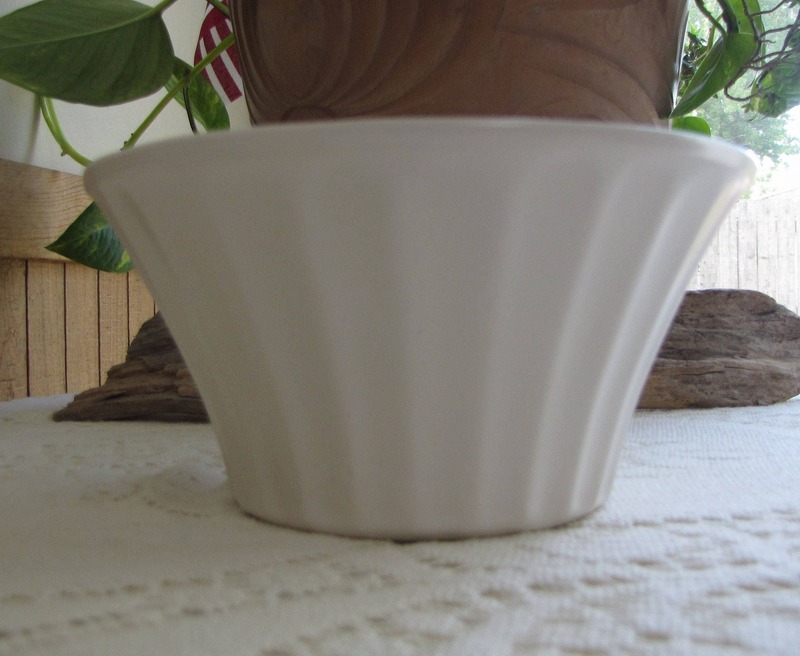 In 1974, Lancaster Colony Corporation purchased the pottery and again it changed hands in 1985 to Designer Accents of New Jersey. 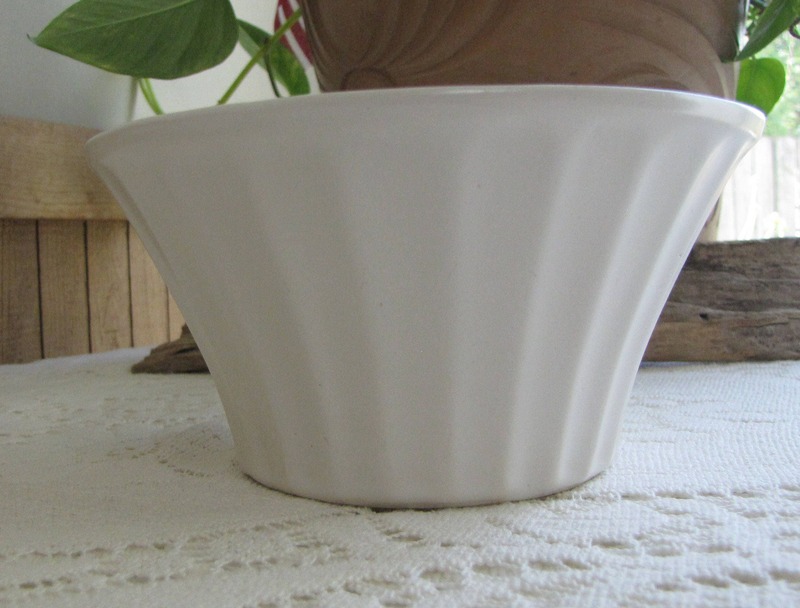 The Floraline line with its distinctive mark was first produced by the Nelson McCoy Pottery in 1960.